What are Snapchat World Lenses and how do they work? Now you can put those much-loved lenses on the world around you rather than simply on your selfies. Snapchat quietly updated its app during US election madness to change the way the social media platform works. Now you can put those much-loved lenses on the world around you rather than simply on your selfies. So how does this update work? Who gets it and what does it mean for selfie fans? How does this help pave the way for more use of the Snapchat’s Spectacles camera-toting glasses Here’s everything you need to know on Snapchat World Lenses. Snapchat lenses let you place images over real world photos, previously limited to selfies for things like animal masks on your face. The new World Lenses apply to objects in the real world around you. 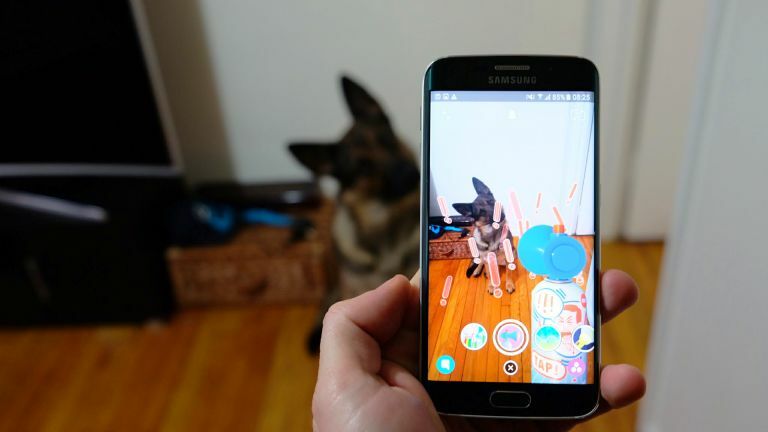 The new augmented reality graphics work with your front-facing camera and can be accessed by holding the screen then scrolling through to find the one that suits. Some lenses will need a bit more effort than others, asking you to move your phone and tap the graphic to create the end result. Press and hold the screen before taking a shot, it will analyse the subject, then the lens options will appear next to the camera button for you to try each. If there’s a face the lens in some cases will react that as it recognises the person’s movements and sounds. Since these new World Lenses use the rear camera they should mean the quality of images shared is higher than those currently captured using the front-facing camera. What Snapchat World Lenses are available? The new feature currently offers several World Lenses available to overlay. These include falling snow and hearts, bursts of stars and bubbles, a torch that lights up, a fog horn that shoots explanation marks, a noise sensitive filter, face swap and more. Each lens has varying effects and some react to the subjects’ movements while others can be affected by tapping the screen or moving the phone. How do Snapchat World Lenses affect Spectacles? Snapchat is set to release its wearable smart glasses dubbed Snapchat Spectacles. These AR glassed have a camera built-in making it possible to capture exactly what you see. Since these are outward facing, rather than selfie focused, the new new World Lenses are clearly designed to work with them. The Snapchat Spectacles don’t have a release date yet but this update suggests we could see them coming soon. When can I get Snapchat World Lenses? Snapchat has updated the app on both iOS and Android with the new World Lenses feature. If you can’t see it yet simply update the app and then you can begin enjoying the fun.